When all the films have been watched, from the sparkling Colin Firth-starrer of 1995, to the bizarre Pride and Prejudice and Zombies last year, when the tote bag has been bought and the mug proudly displayed, and the many Facebook/Instagram posts on how “P&P” is “amazeballs” liked/loved/pinned with a purple flower, how many of us have actually grasped what Jane Austen had to say? Not many. Not now if the feverish movie-making and merchandising are anything to go by, and not before, if the book critiques written in her lifetime are a fair indication. Maybe not ever, if we cannot see what Jane meant us to see, what she hid in plain sight. Because when we think of Jane, we think of a different kind of plain. Perhaps we think of her as the spinster who never married, who isn’t really known to have even been in a relationship. We concoct romantic relationships for her then, such as in 2007’s Becoming Jane, or Miss Austen Regrets in 2008, to make her fit the mould of a frilly romance writer better. Or we see the love stories in her novels as evidence of her own thwarted desires. Or maybe, like her nephew and biographer James-Edward Austen-Leigh, we mistake her smooth, subtle storytelling for plain, shorn of the important events of the day, of anything eventful at all! In A Memoir of Jane Austen, he wrote that she paid “very little attention” to political events and led a life, as well as wrote books, that were “singularly barren of events”. Or with the otherwise insightful Charlotte Bronte, we might erroneously agree that Jane “ruffles her reader by nothing vehement, disturbs him by nothing profound; the Passions are perfectly unknown to her”. But of the many things she may or may not have been, plain, Jane never was. 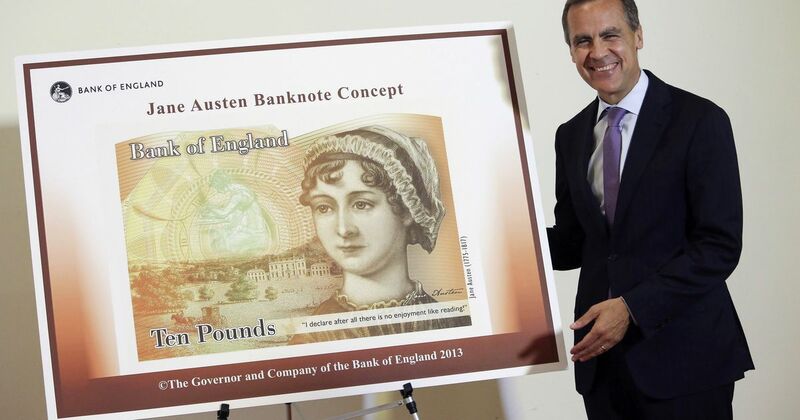 We shall soon be reminded of her physical assets (or lack thereof) on a daily basis, with the introduction of the new Jane-adorned £10 bill, but it is her broadminded views and burnished words that make her the woman of note that she was. Pretty much like her most famous creation Elizabeth Bennet, she was “a rational creature speaking the truth from her heart”. But in throwing a thin veil of wit over it all – “follies and nonsense, whims and inconsistencies do divert me, I own, and I laugh at them whenever I can” – she appears to have deceived many with regard to her depth. Can incisive, crystal-sharp thoughts co-exist with warm, laughter-filled expression? Apparently not. And must all romance writers be necessarily ditsy? Obviously, yes. 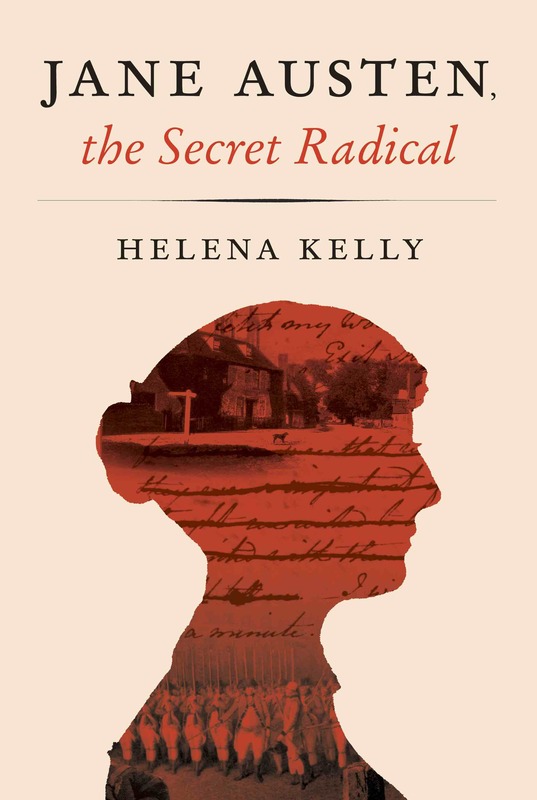 In the latest book desperately seeking Jane, Jane Austen: The Secret Radical, author Helena Kelly demonstrates how Jane’s worldview carried more weight than those of any other English novelist of her time. “From the moment her first novel was published; readers have been unable to ignore her. Even if they haven’t understood everything that she wrote, readers have always been able to sense that her novels are powerful. It’s why she’s still being read now, when Fanny Burney and Sir Walter Scott are only footnotes in literary history”. Or as Zoe Williams says in The Guardian, Jane normalised “the heart wants what it wants idea where a person’s true love is more important than his or her social duties. In Jane Austen’s own century that would have been considered abhorrent.” And when Amanda Vickery describes Lizzie Bennett as “an irreverent protofeminist” who would have “blazed her own way on any university campus today”, it becomes clear that Jane foresaw what the modern woman would become, and in doing so, gave her 18th century sisters the courage to take the road that would lead there. Lizzie not only marries a man of her choosing, but does so only after she’s made it abundantly clear to him how equal a match it would be. There will be no browbeating into subservience for her. “There is a stubbornness about me that never can bear to be frightened at the will of others. My courage always rises at every attempt to intimidate me.” She’s no swooning ingénue waiting to be saved by an all-conquering man. If anything, she saves him from tipping over from righteousness into bombast, from pride to unbearable arrogance, gifting him a finer future in the process. Similarly, as self-absorbed and annoying as Emma Woodhouse can be, she is radical in her robust self-esteem, at a time (and sadly even now) when women were meant to draw their self-worth from the good opinion of the men around them. “The real evils indeed of Emma’s situation were the power of having rather too much her own way, and a disposition to think a little too well of herself”. Jane uses “evil” here to mean anything but, and Emma in the end deigns to marry Mr Knightley, who moves into her home; overturning the traditional balance of power in a marriage. So, why do we insist on seeing Jane as a mere purveyor of romantic fripperies? Why do we read her novels as sugary affirmations of the status quo when they were a ground-breaking refashioning of what romantic relationships should be? Because if the money-spinning Austen industry misdirects us towards just her surface sparkle, then some Jane scholars mislead us just as much. In their valiant attempts to prove Jane’s importance, they have scrunched or stretched her insubstantial frame to fit an acceptable feminist mould, losing the essence of Jane as much as any cheesy film adaptation in the process. Celebrated author and life-long “spinster”, Jane Austen was certainly not a conventional woman of her time. She was also an undoubted champion of women’s advancement. But that doesn’t mean that she need correspond to contemporary notions of what a feminist should be, especially when a vast array of modern feminists don’t conform to these rigid criteria themselves. Helena Kelly, for example, sets out to prove in her book that each of Jane’s novels dealt with something more “worthy” than the relations between men and women. Emma, she avers, was not about a cossetted young woman’s mismatch-making attempts, but a novel about the impoverishment of the countryside by the landed class. And in Mansfield Park, Helena is certain, “the title, the literary and historical references, the pointed vocabulary Jane selects – all of them point in one direction only, that Mansfield Park is about slavery”. Jane was not against love, marriage or families, and did not relegate them to trimming or sidey sub-plots for her novels. She was an ardent advocate of gender parity, but she believed it was possible to have that within romantic relationships. In fact, one of her two most important tools for effecting social change was indeed romance, although her idea of the picture-perfect romance was not what chick-flicks and chick-lit would have us believe. Jane’s perfect romance was about striking the right balance and the good influence of individuals on each other. We see it in Sense and Sensibility, in Emma and of course, in Pride and Prejudice. But then, Lizzie and Darcy proceeded to laugh these unhappy propensities out of each other. And that’s because that is in the end Jane Austen’s greatest weapon for good – her ability to make her readers laugh at the unjust and unpleasant and so start to discern why they need to be changed. These weapons then of Jane’s were pinpricks of sarcasm, lashings of irony and shimmering swathes of wit. The force of her conviction in the causes she champions is to be found in that blazing wit. In the famous line with which she begins her best-known book, “It is a truth universally acknowledged, that a single man in possession of a good fortune must be in want of a wife”, she makes clear, with her tongue firmly in cheek, what she really thinks of such a view. Expressing herself as subtly and succinctly as she does, it may almost be misread as a statement of accord rather than subversion, especially if it’s your first foray into Jane’s world. But then you read on and you find more such pithy statements, apparently espousing beliefs that go against the grain of the protagonist. You see where the author’s sympathies truly lie then; with Lizzie Bennet, in this case, who doesn’t believe any such thing, as much as her shambles of a mother really does. Then you realise how often Jane says the opposite of what she really means, knowing you’ll catch on. That you’ll twig that the more poker-faced and perfectly-turned out her line, the more likely she is to be gently laughing at it, and at your initial confusion about its intent. When she does passionately believe in something, she puts it in the mouths of her most trusted characters. “I wish, as well as everybody else, to be perfectly happy; but, like everybody else, it must be in my own way,” affirms Elinor Dashwood in Sense and Sensibility. And you just know Jane meant that with every fibre of her being. So, Jane of the deft literary touch and dazzling wit, neither plain, nor necessarily the most iconoclastic of political revolutionaries, though political and plain-speaking she could both be, is a live-and-let-live Jane. And that’s the latitude we need to extend to her too – let Jane live on as her own person, both unpindownable and unparalleled as a writer in so many wonderful ways.